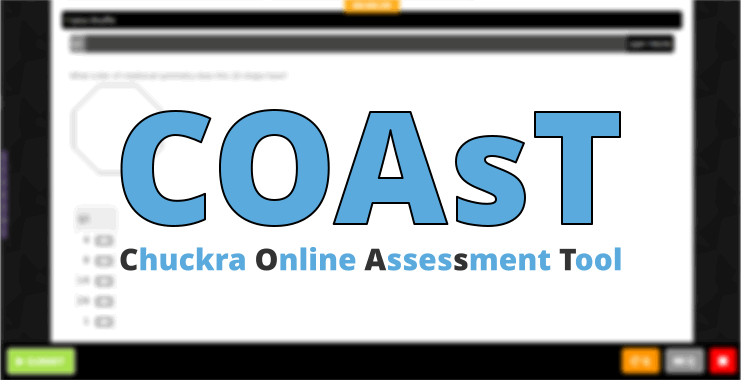 COAsT stands for Chuckra Online Assessment Tool. This powerful online testing system makes preparation for entrance tests more efficient, more affordable and easier to manage – and hence more effective. Assign tests to Students to be completed online (or on paper). Track a Student’s 11+ preparation progress. View detailed performance analysis including a Student’s Rank compared to all other students. 2 What is in COAsT? 3 How much does COAsT cost? COAsT is used by Parents, Tutors and Students who are preparing for UK grammar school selective tests or independent school entrance tests. Whether you are a parent with one child or a tutor with two hundred students, COAsT will help you manage your entrance test preparation and make sure you know the progress of all your students. Students can make use of a feature we call ‘Question Shuffle’. The Student will be given questions at random from a bank of over 5000 quality questions. No need to assign full tests – Students can log in to their Student accounts and start taking questions immediately. The Student can choose to do as many questions as they like in the time they have available. This is great for fitting in practice sessions when time is limited but if plenty of time is available then the Student could decide to do a marathon session and complete hundreds of questions in one sitting if they so desire. The system adapts to the Student – e.g. if the Student answers incorrectly then the same question type will be given again until they answer successfully. While a Student is attempting a question, a countdown timer bar is displayed so they know how quickly they need to answer the question (based on the average time taken by thousands of other students who took the same question). Questions that are answered incorrectly go back into the pool and can be taken later. Detailed question feedback is given (explanations, question difficulty rating, links to tutorial videos where available etc.). We believe it is best for the Parent / Tutor to control which tests a Student should attempt which is why tests must first be assigned by a Parent / Tutor. Choose to assign premium tests (e.g. previous year’s mock exam papers, full length CEM style tests etc.). See where the Student ranks compared to thousands of other Students across the UK. Take timed or non-timed tests. Save and resume tests later. Questions answered incorrectly go back into the ‘Question Shuffle’ pool where they can be attempted again later. Doing hours of 11 plus questions can be pretty intense and lead to Student fatigue. For this reason, we created lots of fun games that were specifically designed to test the core skills needed to do well in 11plus entrance tests. The games require the Flash plugin to run. Unfortunately this plugin does not run on iPads and certain other devices. Fortunately, however there are inexpensive apps available which allows you to run Flash games on some of these devices (e.g. Photon Browser). Every single question in the system is tagged depending on what Topic it’s in (e.g. Probability, Cloze, Synonyms, NVR – odd one out etc.). This means that we are able to provide a breakdown of all the questions attempted by each Topic. This is a great way to spot weaknesses either in broad Topics such as Maths, Verbal Reasoning, English, NVR or more specific topics such as Graphs or Antonyms. How much does COAsT cost? It is FREE to get started. Every new Student can complete the top quality initial assessment tests online at no charge. After that, you will need to buy Credits which will allow you to print tests or assign them to a Student to take online. Please see our Pricing page for more details. I HAVE BOOKED A MOCK FOR 20TH OF AUGUST 2017 HOW DO I ACCESS LAST YEAR MOCK ASSESSMENT FOR PRACTICE? 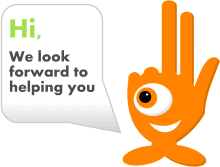 Please see this FAQ – How can I use my free credits in COAsT?